'I love you very much but I will not allow you to lead Britain into Brexit,' Geller says. Israeli illusionist and psychic Uri Geller wrote an open letter to United Kingdom Prime Minister Theresa May informing her that he will use his telepathic powers to keep her from leading Britain out of the European Union as part of the "Brexit". "I feel psychically and very strongly that most British people do not want Brexit." Geller wrote in a letter posted on his Facebook page and published on British media. “I love you very much but I will not allow you to lead Britain into Brexit." "As much as I admire you, I will stop you telepathically from doing this – and believe me I am capable of executing it. Before I take this drastic course of action, I appeal to you to stop the process immediately while you still have a chance," Geller wrote. Geller currently resides in Israel but lived in Berkshire in the past as part of May's Maidenhead constituency when she was an MP. 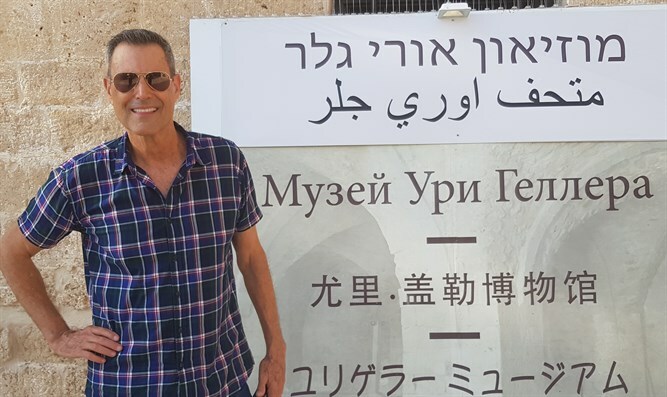 “Although I currently live in Israel, I am still a British citizen and feel very passionately about the country and the people I came to love,” Geller added. “My power has been validated by the CIA, MI5 and Mossad,” Geller stressed. The United Kingdom is scheduled to leave the European Union on May 22 if the British MPs back May's withdrawal deal.